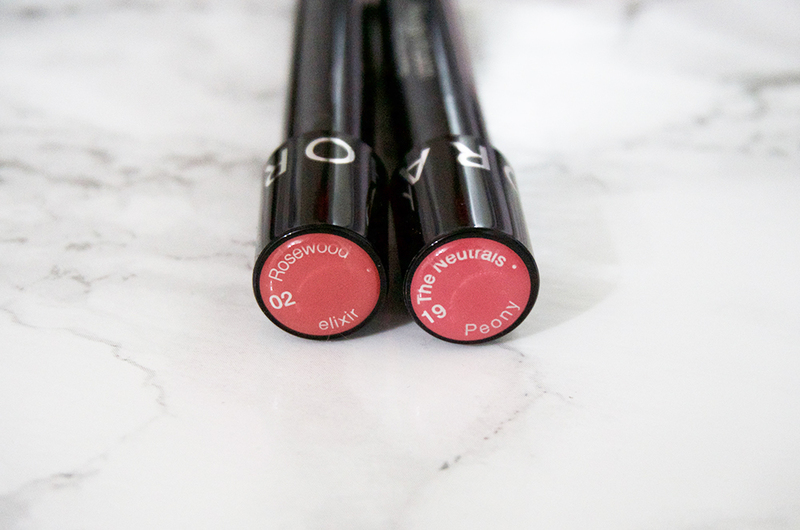 For a while I've been wanting to test these out because I love lip stains, I mean who doesn't? I actually like Sephora brand products because they're just as good as some of the higher end brands carried at the store. 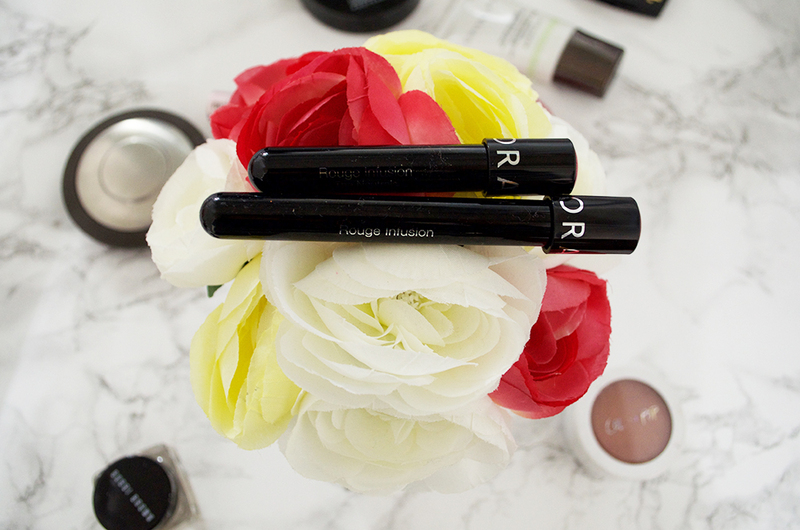 The first time I tried these Sephora Rouge Infusion Lip Stains, it was from a sample. 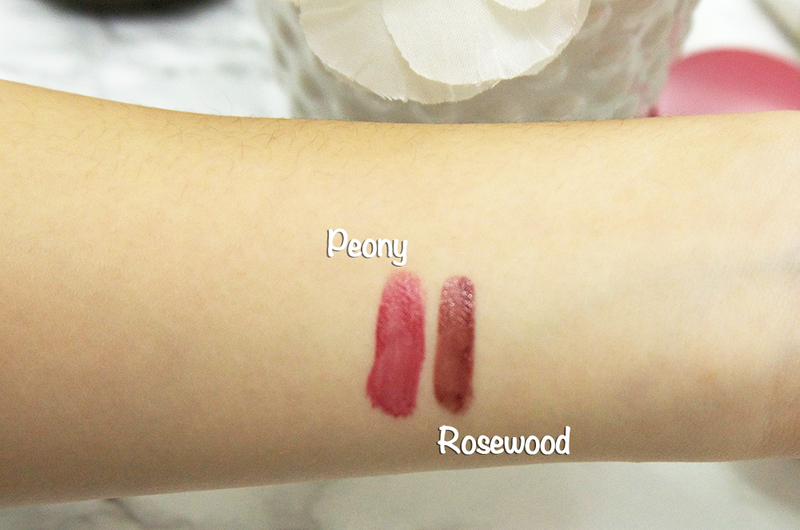 Peony was the sample I got and I thought that it was a pretty shade, very natural looking but it didn't feel the best. The formula wasn't that amazing, but the stain part of the name was promising. The color stayed on my lips throughout the day and I enjoyed that, but it made my lips dry. I've only worn the peony shade twice and I really did enjoy the staying power but it felt uncomfortable on my lips. I thought that it was because I hadn't moisturized my lips enough that day (or that I went to Buffalo Wild Wings and that the wings were so spicy my lips felt dry) so I went ahead and bought another shade, Rosewood. This shade is stunning and I fell in love with it. There was a day where I knew I had to wear lighter makeup and I brought this with me which was a horrible idea. It stayed on my lips but my lips were so dry it started flaking and it got itchy as well. Maybe I am allergic to the formula, but after using this all day I've decided that I probably would never wear it again. Even after applying lip balm my lips were still dry, itchy and getting flaky. I do think that if you are someone who likes lip stains then this would be great. Have you tried any lip stains before?